Good morning everyone!!! 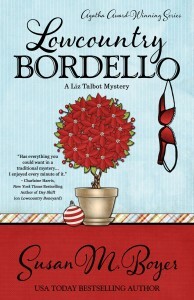 Today is my stop on Susan M. Boyer’s tour with Chick Lit Plus for her newest release, LOWCOUNTRY BORDELLO!! 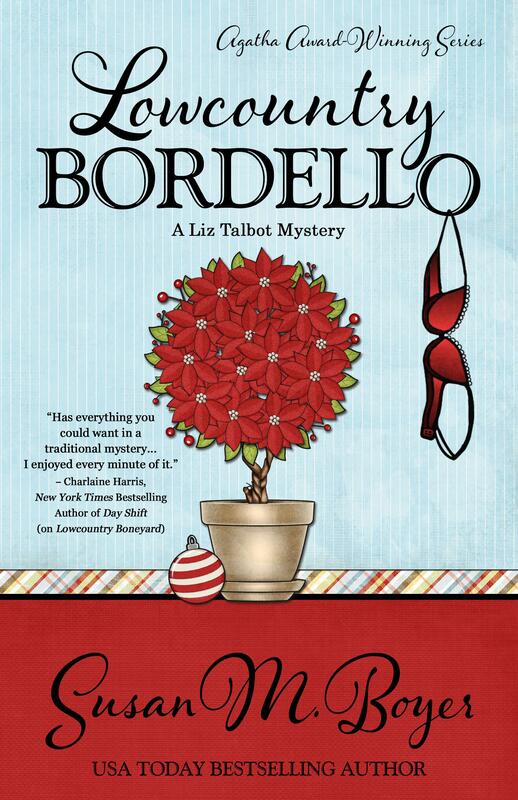 This is the fourth book in Susan’s Liz Talbot Mystery series, but the first I’ve read. I had NO trouble following along with anything that may have been in the first three books, which I will definitely circle back and read during the holidays! I love a good cozy mystery and this one had spots of sweet romance (a couple right before their wedding!! ), a bit of paranormal in the form of a friendly and somewhat helpful ghost, and a few crazies to wrap up the package tightly. I can’t wait to see what other mysteries the amazing Liz solves in her PI career! If you’re a cozy reader, this series definitely needs to be on your list! You can see all at the bottom of the page! But first, an excerpt! Copyright © 2015 by Susan M. Boyer — This excerpt is reprinted by permission from Henery Press. All rights reserved. Don’t forget to enter this giveaway too!!! a Rafflecopter giveawaySwing by and visit the rest of the tour hosts! I’m so glad you organized the tour! I can’t wait to read the rest!